Nothing inspires me like music. Pumped through loud speakers and performed live, it charges my affinity for creativity and individuality. Boy bands can have their heyday, but the generic static of similarity leaves them crying for a tattoo and a mohawk and a swift kick in their poopy pants. Great artists take an enormous risk of ridicule and criticism. Success brings adoration, but countless bad reviews can minimize the soul to roadkill jerky. For all you critics out there, give the people who are trying a break. Exposing their creation deserves encouragement and support, even if it’s uglier than a carny because even a carny has a heart. Not all musicians are icons and not all heroes are cowboys. Some sing but the big guns, well, they scream. Individuality separates the rind from the fruit, and as a person, especially via writing, I’d like to be the fruitiest, watermelon-iest of all. But do I have the courage to undergo the accompanying criticism? Will you spit out the seeds and still like me for the fruit that I am? Thanks to music for the inspiration. This post is in honor of Sir Paul McCartney who charmed and enchanted our small town last night with an epic experience of iconic adoration. He is one brave soul and one giant slice of watermelon. I love your writing, music, Paul McCartney. What a great post. Thank you so much. Thank you but it’s your writing that inspires me! Your creativity on the page is unlike any other. 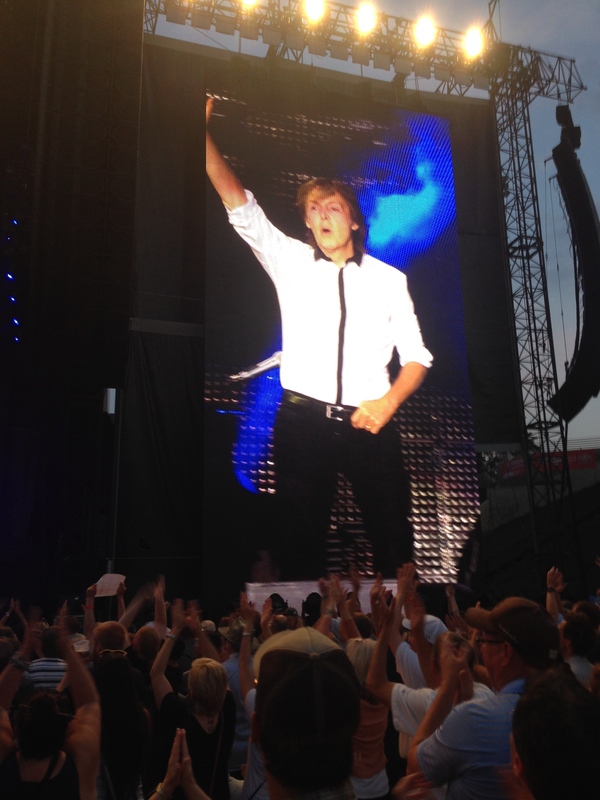 Seen Paul McCartney perform twice. He puts on one hell of a show. Hi Gus! It was the largest concert our state has ever seen so the energy was incredible. Great show indeed!